The mission of the NC Services for the Blind (NCDSB) is to empower individuals who are blind or visually impaired to achieve their maximum potential through services provided by competent and caring professionals. The ILS program is designed to aid in the adjustment to vision loss with services including individual and family counseling, information and referral, support groups, recreational opportunities, instruction in home management, personal care and safe travel skills following vision loss. 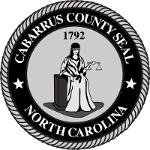 The Social Worker for the Blind, housed at the Department of Human Services, is in Cabarrus County Wednesday through Friday of each week. The application and assessment process is usually completed in the home setting. Anyone in the community may submit a referral, including physicians and human service agencies. our Adult and Aging representatives can help explore other services that you or your loved one may need. Are you in need of a service not listed on our website? If so, call our intake line at 704-920-1400; option 7; then option 2. One of our staff can explore other options and community resources.